DEVEPM in “I want my ODI” OTN Podcast!!! Hi guys how are you doing? It’s a pleasure to announce that DEVEPM was invited by our friend Oracle ACE Michael Rayne to be part of “I want my ODI” OTN podcast. You can expect forty minutes of a open conversation between integration experts talking about the new features and the future of ODI. What happens when you gather a group of business intelligence experts who are passionate about Oracle Data Integrator? You’re about to find out. This OTN ArchBeat podcast series was suggested by Oracle ACE Michael Rainey, who took on the guest producer and guest host roles for this program, selecting the topic and the panel. As you’ll hear, the result is a wide-ranging, free-wheeling discussion of all things ODI. Take a listen! Today a quickly but useful post. How many times you guys wanted a specific version of ODI and you just can’t find it anywhere? Well, here is the solution for it. 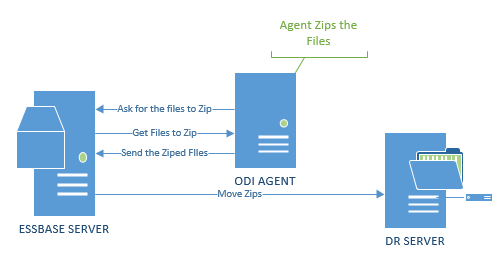 This is the link for the ODI Master Documentation that contains ALL versions of ODI as well of all patches and bugs. Everything is there! This is a document inside Oracle support than you need a user with access to this but even so, this is a very useful link. I hope you guys enjoy and see you later. Do you know about ODI project on java.net? Hi all, today’s post is just a quick tip about ODI project on java.net. I’m often asked if I know a place where there could be different KMs for ODI besides the ones that comes within its installation folder. Every time that I mention the ODI project on java.net, people reaction is always the same “Wow, that’s very nice! I didn’t know that!”. You just need to create an account and you are good to go! Enjoy!